Finding quality solutions at affordable prices is one of our passions and we have come up with another great offering for post-production professionals. 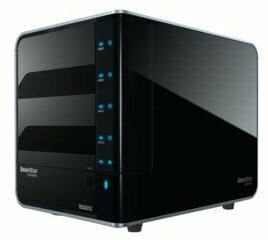 32TB of storage for less than $10K! 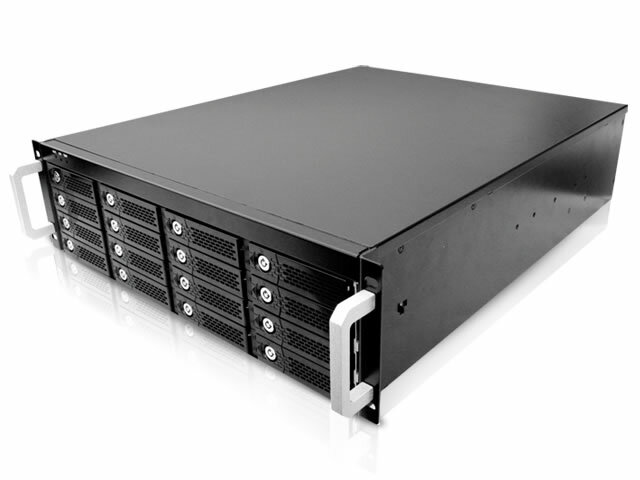 This complete storage solution provides a lot of storage with excellent speed and RAID data protection. Direct attached storage - AJA speed tests have the NearDrive 32e performing with a minimum of 500MB/sec read and 400MB/sec write -- that's multiple streams of uncompressed HD! Network attached storage - The ND32e goes right into your rack and won't be a bottleneck for your office. Promise 12TB Storage for only $1,499?! Wow, is storage getting cheap. We've partnered with Promise (Apple’s preferred storage manufacturer) and Hitachi to offer an 8TB RAID protected array that provides an excellent, inexpensive storage pool. We have tested the unit in our lab for any compatibility issues. Whether it is Mac or Windows (including XP 64-bit, Vista, or Win 7), set-up is incredibly easy (also works with Time Machine). It looks good and keeps quiet, so you can keep it right next to your workstation. Its compact design also fits easily on a rack shelf - connect to your server as a quick and reliable daily back-up. Need data protection? This unit offers RAID 0, 1, 5 options. Connect by FW400, FW800, USB 2.0 or eSATA: all cables included. Linux based NAS configuration available for $150 additional. and Cheap enough for you to buy us all a round of golf! This Infortrend SAN-ready subsystem combines cost-effective SATA drives in a high availability 4G FC array. Post Production managers will find it is an easy-to-use and easy to maintain storage solution for their DAS, Fibre Channel SAN and clustered servers or any application requiring dedicated bandwidth. Sustained RAID5 Read/Write at 658/460 MB/sec. Sustained RAID6 Read/Write at 651/411 MB/sec. or call us at 323-957-5000.